Nutritious nitbits from Nuterro - CHOMP! SLURRP! BURP! The healthy drive in Gurgaon is insane and so amazing. There are new outlets coming up with a prime focus on eating healthier and leading a better lifestyle. 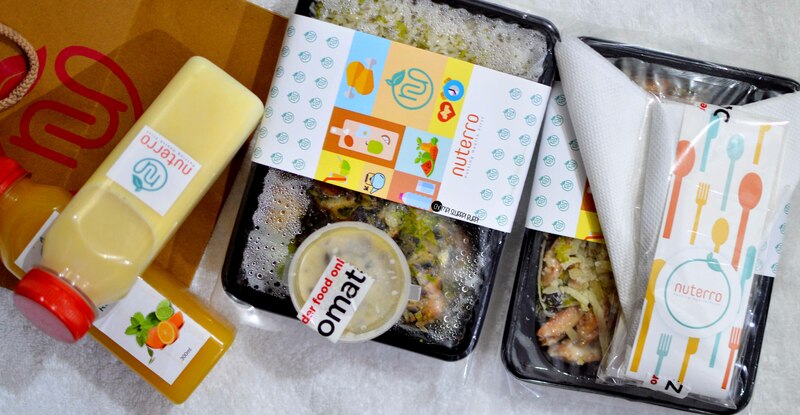 Nuterro adds itself to the list with a gold star with cold pressed juices, power smoothies, salads, grills in addition to healthy home cooked Indian food. Spot on leakproof and super colorful packaging. ‘Refresh’ cold pressed juice – orange, sweet lime and lemon cold pressed juice is a real thirst quencher with all the citrus flavors. Mango shake – my first of the season, the shake was absolutely satiating, I could sense a slight caramel flavor which took my heart away. 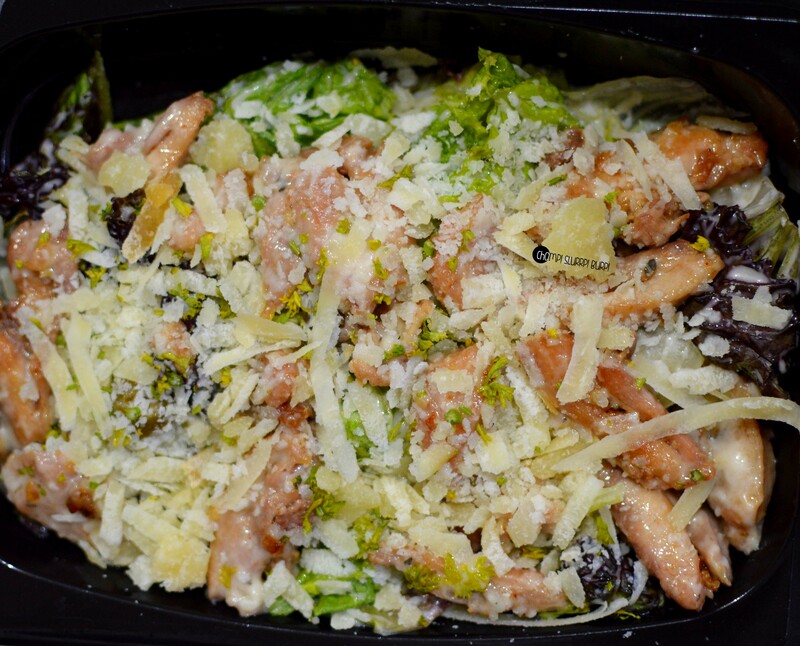 Caesar salad – lettuce, chicken shards, classic Caesar salad dressing and topped with loads of parmesan. Even though I am an ardent fan of the cheese, it was a bit overpowering for the salad. Otherwise, it was pretty decent. Parmesan chicken – spinach, corn and mushrooms stuffed in a grilled chicken breast topped with a creamy mushroom sauce accompanied by fresh, sauteed vegetables and herbed rice. Perfectly grilled chicken breast with a generous stuffing of greens and parmesan cheese. Top it with the creamy mushroom sauce for that extra zing. 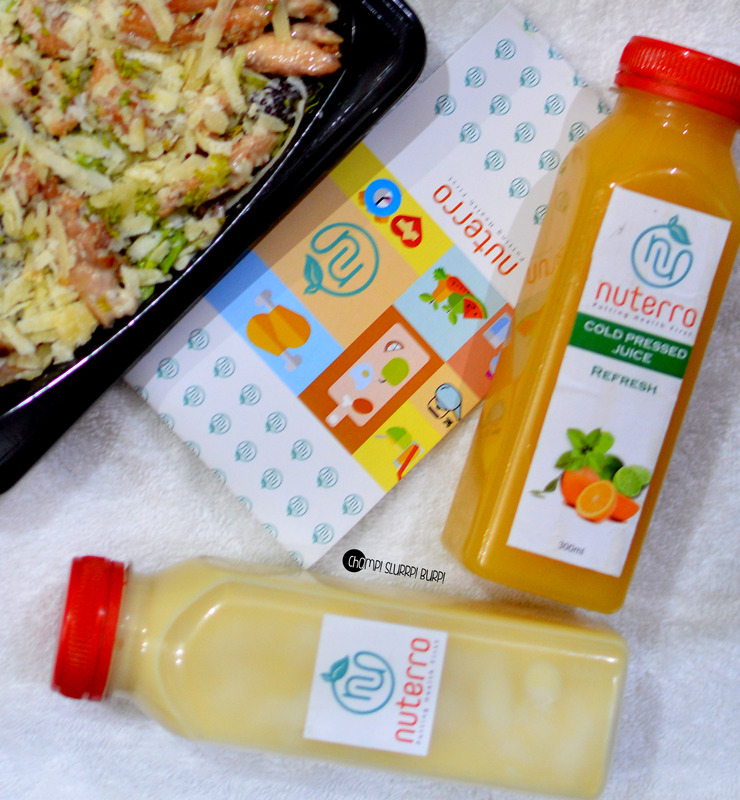 Nuterro also has healthy sandwich and snacking options to choose from. But don’t miss out on their summer ready mango shake and parmesan chicken.